Which is the Scariest Kind of Haunted House in Horror? 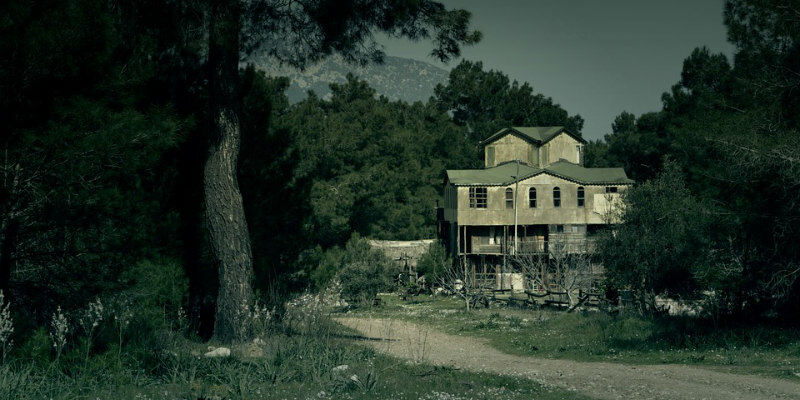 With the current chills that Winchester is creating at theatres, we started thinking about this whole concept of the haunted house in the horror genre and wondered: What makes for the scariest abode? There’s something of a debate around this question and there seem to be four main schools of thought to be considered…. The traditional, indeed archetypal, haunted house is the one we all know and love: the castle on a gloomy clifftop. It’s always going to seem a bit alien to us as there will always be centuries separating us from the era of moats, drawbridges and keeps. The further back we go in time the more layers of the past we come up against until there’s this fearsome depth of history and spirits to contend with. This was in fact a classic scenario in cinema as early as 1896 with Georges Méliès’ silent film The Haunted Castle. 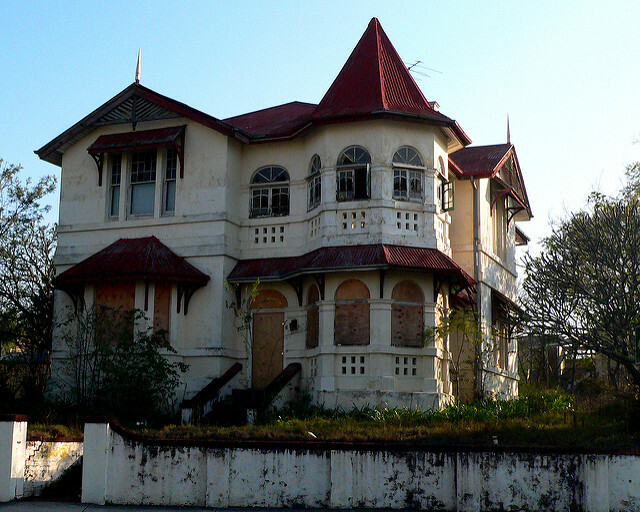 Equally well established in the horror canon is the Victorian property that has fallen into serious disrepair. You know the way it goes; you get creaky floorboards, cobwebs in every conceivable nook and cranny and plenty of old, monolithic wardrobes for scary, formally attired beings to rattle around in. Oh, and don’t forget the creepy clockwork toys and not-so-innocent dolls that wink and grimace and giggle. The aforementioned Winchester is a great example of this type of house that plays host to that wonderfully starched, well-spoken brand of horror. OK, now what’s worse, a classic set-up like a castle or dusty house or a perfectly ordinary, modern dwelling? The prospect might sound underwhelming, but fans of the Paranormal Activity series will know exactly how terrifying this can in fact be. If you’re unfamiliar with the films then check out this clip and prepare to cry with fear. What makes this stuff so scary is just how relatable the scenario is. Additionally the sense of impotence is immense when one realises that alarms, light sensors, cameras and all the usual security paraphernalia of a high tech, 21st century home are powerless. The business of being got at when tucked up safely in bed is a pretty dire prospect as well. Never mind next day delivery beds when you might not even be alive the next day to receive the thing! This one is less frequently encountered but when it is it hits you, it hits you hard. “In space, no one can hear you scream.” …Remember that one? It’s the tagline from Ridley Scott’s classic picture Alien and really expresses the essence of what makes space scary: the isolation. From predatory aliens to the kind of unnerving occurrences unleashed in The Cloverfield Paradox such as arms getting sucked into walls, space stations are just freaky as hell!